Anyone made a power cable for the SD 7xx series that can point me in the right direction? I made one once. I thought it just unscrewed? I know it was pretty difficult soldering to the tiny contacts. 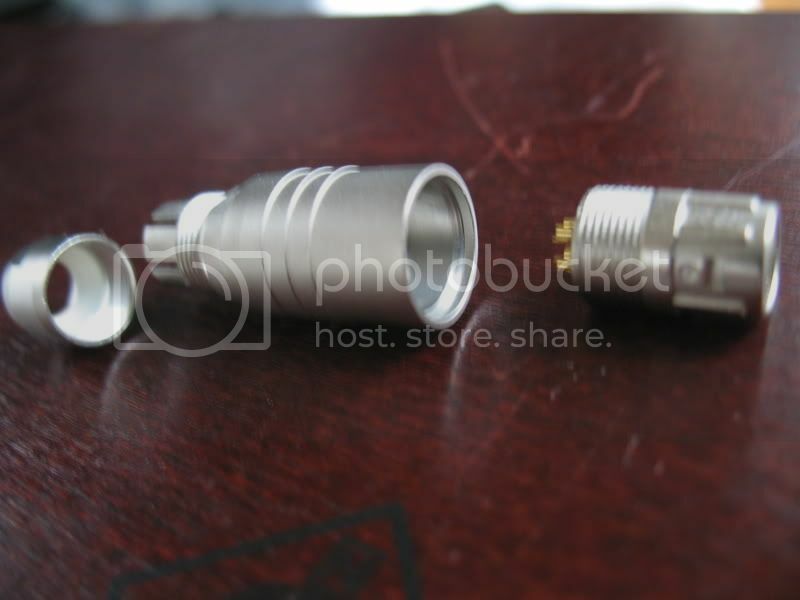 To get to the contacts, pull down the locking collet and unscrew the plug body from the shell. The strain relief is provided with a nylon bushing inside to ease compression, but still requires a very thin wrench at the body to properly tighten. GC - I am not quite sure what your purpose is here. I am going to make a connection to charge my SD's from my car's 12 volts system. The thought of soldering the Hirose is hellacious. I have read where it has caused grown, strong men to weep. My solution: snip the cord for my wall wart close to the wart itself. Insert a connector that is easy to hookup, OK, solder. 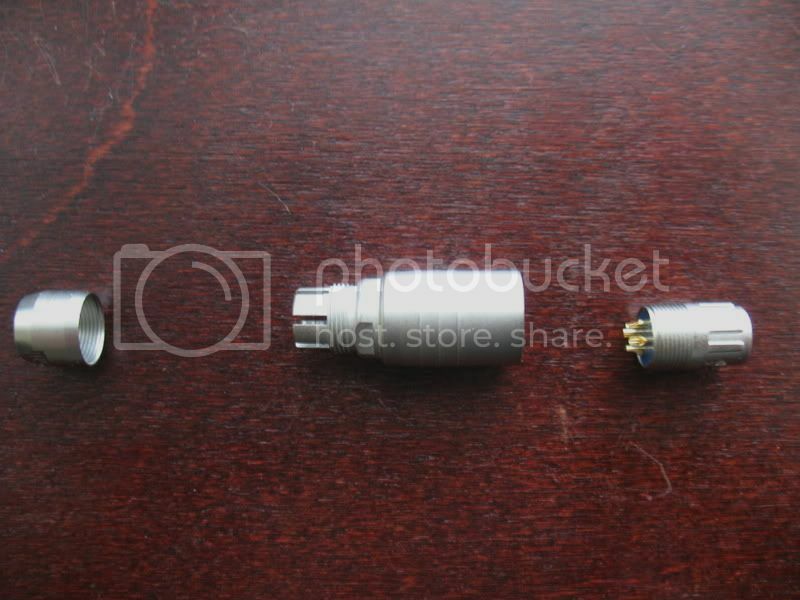 ;o) Then attach the same type of connector to a RadioShack 12 volt connector/cigar lighter tap. Bingo! I can use the Hirose as wired by SD for both the wall wart and the 12 volt car connector. And I do not have to face the awful humiliationj of soldering a Hirose. 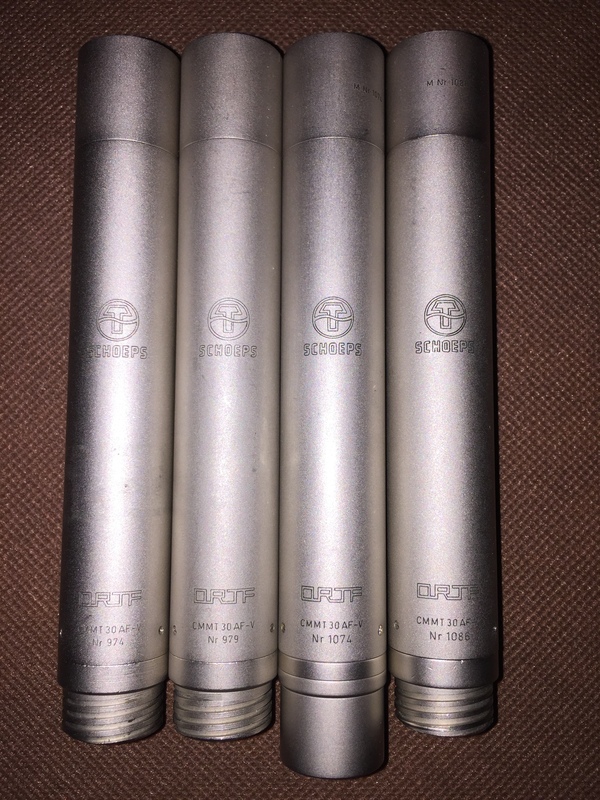 Mini-XLR's are not bad, but the Hirose is the test fit for a Samurai. I was asked to make a power cable for a taper in CO that runs a 788t. He wanted to run it off some 12v SLA batteries he got from Doug Oade since the runtime on the (I guess Sony) batts he was using was not cutting it. Hirose 4 pin on one end mini XLR on the other. It was not easy. You only get one shot at it. If I had any sense I would have put the connector in my buddy's 744 and unscrewed it that way but I finally got it apart with a bench vise and two pairs of needle nose pliers.